It’s well known that there are two ways of spelling whisk(e)y, ‘Whisky’ and ‘Whiskey’ and it is a long running discussion dating back, over many years of history as to the whys and way fore of why whisk(e)y is spelt ‘Whisky’ and ‘Whiskey’. The word ‘Whisky’ originated from the Gaelic word ‘Uisgebaugh’, pronounced ‘WEEZ-ga-bochh’ meaning ‘Water Of Life’. Over time ‘WEEZ-ga-bochh’ was shortened to ‘WEEZ-ga’ a word which was then Anglicized to become ‘Whisky’. When the term whisky is used with reference to Scotland’s distillations you will never find an ‘e’ used by a Scot to describe their national drink. Whiskey with the ‘e’ is used to describe Irish whiskey distillations. 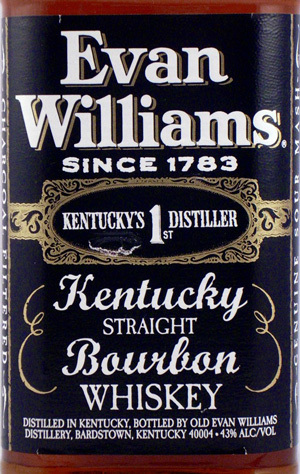 Some of the brands in the past have used the spelling without the ‘e’, however the ‘e’ spelling is now the standard way for spelling whiskey when referring to Irish whiskey. During the 19th century much of the Scotch whisky was being distilled in Coffey stills and either as a result or as mixture of still and poor distilling methods the quality of the Scotch whisky being produced was well below par. At the time Irish whiskey was regarded as much better quality and the Irish distillers wanted to differentiate their superior product from that of the Scots, thus they started to use the ‘e’ spelling. However that been said it could simply be down to the way of spelling or dialect, as both styles have been used in Ireland. 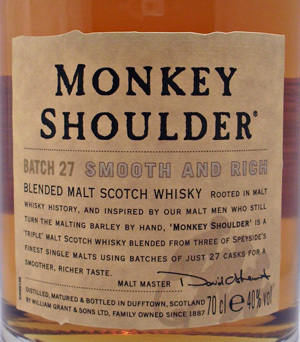 From left to right: Monkey Shoulder a Scottish whisky that uses the traditional Scottish spelling of whisky with out the ‘e’. 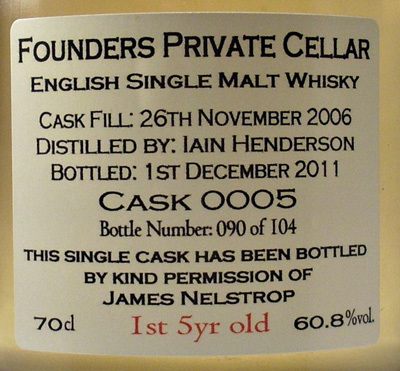 Founders Private Cellar, English whisky spelling whisky with out the ‘e’. 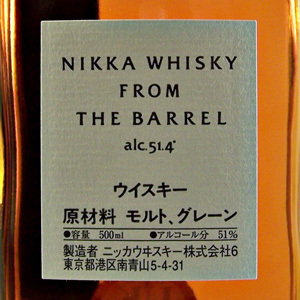 Nikka Whisky from Japan. Nikka use the traditional Scottish spelling without the ‘e’ as Masataka Takesuru founder of Nikka learned how to distill whisky during his time in Scotland. There appears to be a pattern to the use of the ‘e’ that could be taken as being political. The Irish emigrated mainly to the USA and the majority settled in the Kentucky region, they then started distilling. Here you will find that the ‘e’ is used extensively as would be the case with a mainly Irish populace. 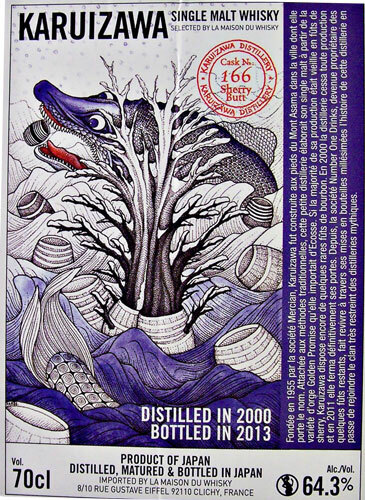 In the USA you will find that there are brands that use the term whisky, some of these are of Scottish decent, There are several craft distillers that state that part of their whisky experience and training was in Scotland so they have used whisky without the ‘e’ following the traditional Scottish spelling. The Scots emigrated to Canada and established the industry there so whisky is the prevalent spelling This can be seen to be the pattern in other countries and where ever the Scots went, distilling and the name followed. For example; Australia, India, New Zealand, Pakistan and South Africa all spell whisky without the ‘e’. In Japan ‘Masataka Takesuru’ is regarded as the founder of Japanese whisky. Born 1895 into a Sake-brewing family, he left Japan for Scotland in 1918 to study chemistry and whisky making at Glasgow University. Masataka took up apprenticeships with Scottish distilleries where he learnt from craftsmen at first hand the skills associated with distilling and blending. 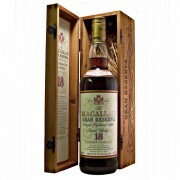 On his return to Japan he established the Japanese whisky industry first with Suntory then with his own company Nikka. Throughout his distilling career Masataka always referred to whisky without the ‘e’ and being the industry pioneer his Scottish way of spelling whisky stuck. The emerging distilling countries England and Wales have gone with the traditional Scottish spelling so has India, Taiwan and Sweden, however the other European distillers from Austria, Bulgaria, Belgium, Czech Republic, Denmark, Finland, France, German, Holland, Latvia, Liechtenstein, Poland, Spain and Switzerland have no set pattern with both spellings being used. Same applies for the rest of the world; Argentina and Brazil use both spellings. and thrown head first in the Dee. if you get it for free! from a bottle of ‘Scotch Whisky’. 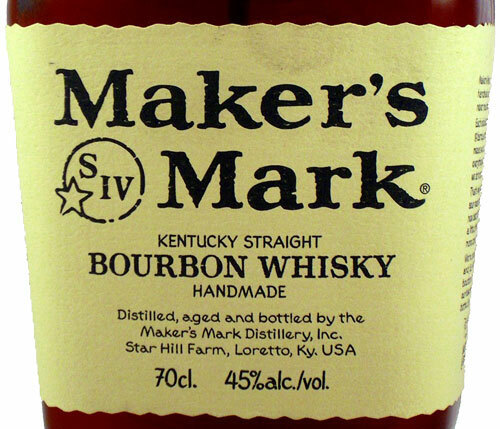 From left to right: Maker’s Mark a Kentucky straight bourbon whisky that uses the traditional Scottish spelling of whisky with out the ‘e’. 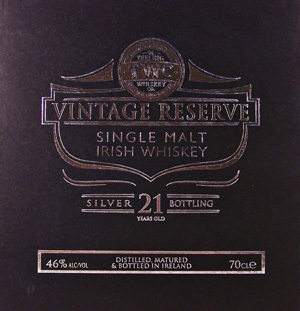 Vintage Reserve, Irish whiskey spelling whiskey with the ‘e’. 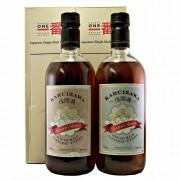 Karuizawa from Japan. Use the traditional Scottish spelling without the ‘e’.